This coming Monday, the year’s biggest digital inclusion campaign, Get Online Week, starts (17-23 October). There are now over 1,000 organisations registered to take part during the week. 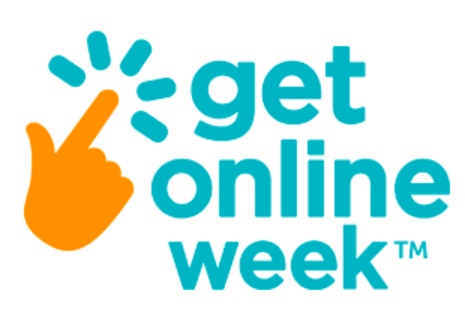 This year Get Online Week celebrates its 10th birthday. Over the last decade, it has engaged more than 500,000 people - encouraging them to get online and see how the internet could make life easier, cheaper, healthier - and more fun. With more than a third of all Get Online Week events taking place in libraries, the library network has proved to be the backbone of the campaign. The campaign is managed by Tinder Foundation, the UK’s leading digital inclusion charity. Since 2010, they’ve helped more than 1.9 million people to gain digital skills - and Get Online Week has been key in helping raise awareness of the benefits of being online, together with the network of 5,000 community-based UK online centres on hand to help - including over 2,900 libraries! The campaign model sees national publicity backed up by local activity, with local event holders, including libraries, given marketing packs, training and advice to advertise and run events out and about in their communities. This year, we also gave out funding to help deliver Get Online Week events, and half of the funding went to libraries in our network. This year’s campaign posters feature real life learners and their stories of how getting online has helped them do anything from staying healthy to keeping in touch, getting a job to following a hobby, finding a bargain to learning English. The majority of this year’s 1,000+ events will be held by UK online centres, and nearly 40% of the event-holders are Library Online Centres. At Tinder Foundation, we believe that libraries can help us close the digital skills gap and reduce social inequalities in the process. As such, Get Online Week is a great opportunity for libraries to throw open their doors, meet their digital inclusion goals and targets, and really prove their worth and impact to stakeholders and funders. 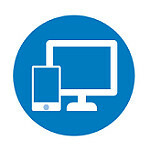 I’ll be visiting Woodlands Community Library and Hub, and Peterborough Central Library next week to see first hand how libraries use Get Online Week to promote their digital inclusion activities and services at a local level, and will be sharing my experience in in the coming weeks. In the meantime, it’s still not too late to sign up to be a Get Online Week event holder. Visit www.getonlineweek.com to find out more and follow the events throughout the week via #GOLW16. 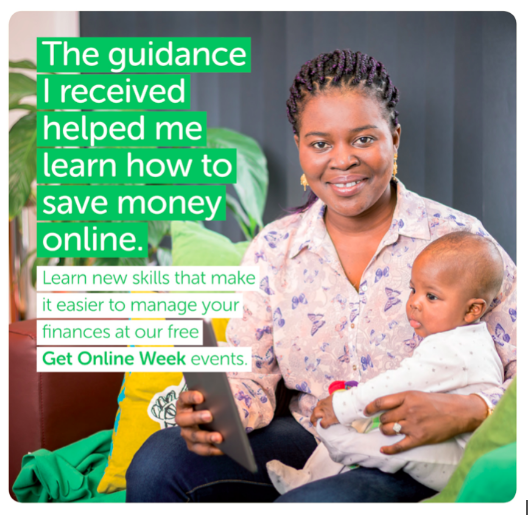 If you know someone who could benefit from getting online, or if you’d like to get a bit of help to brush up on your own IT skills, you can look up an event near you on www.getonlineweek.com, or call free on 0800 77 1234.